Steven Segal was not recognised by The Dalai Lama, he has no notion of sin. Mike Carlton is fabricating 'facts' to be read & sensational. Dalai Lama did not recognise Steven Segal, he has no notion of sin. Mike Carlton is fabricating 'facts' to be read & sensational. 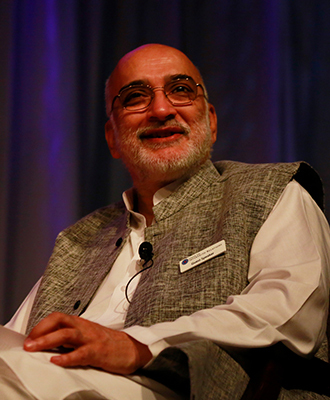 Best known as the host of one of the country’s longest running and most widely viewed talk shows on public television – In Conversation – Rajiv is an independent filmmaker, producer and commissioning editor. He has been a familiar face on Indian television for more than 40 years and a student of the Dalai Lama for over 30 years. Greatly influenced by his spiritual world-view, Rajiv shares his understanding and insights about finding the right balance and harmony in life through his talks. He has addressed plenary sessions at The World Economic Forum at Davos twice and was nominated a ‘Global Leader for Tomorrow’ by them. He was previously a student of Swami Ranganathananda (President, The Ramakrishna Mission) and BKS Iyengar (Yoga icon) and is currently the Secretary & Founding Trustee of The Foundation for Universal Responsibility for the Dalai Lama. 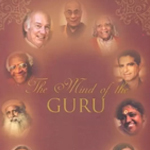 Also an impassioned writer, his books include The Mind of The Guru, The Spirit of The Muse, Understanding the Dalai Lama, and Thakur – a biography of Sri Ramakrishna. Rajiv’s films have won more than 170 international and 40 national awards. He is currently working on the national film on Swami Vivekananda in India.